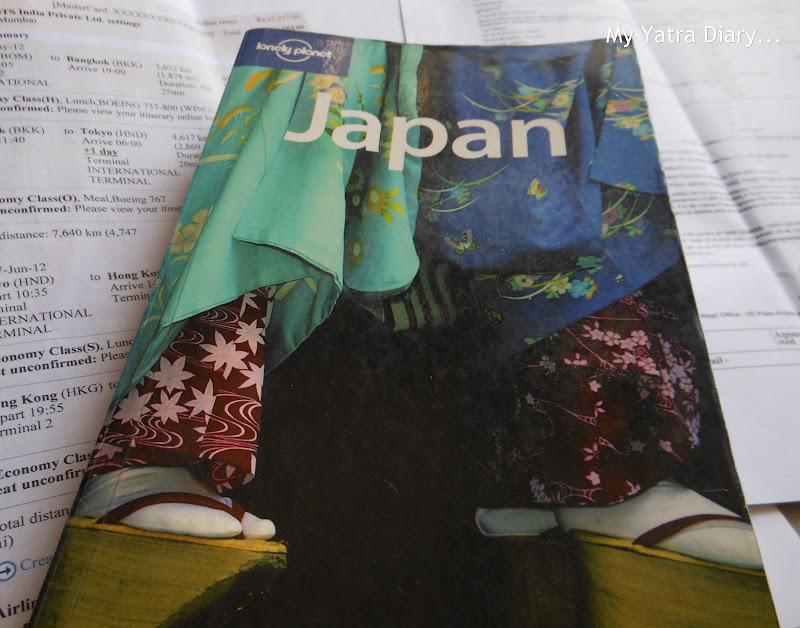 Planning for Japan: Visa, Flight Bookings, Hotel Reservations, etc. 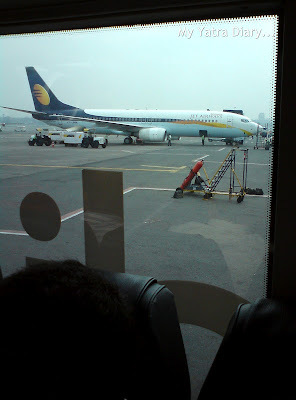 The 6 days all expense paid trip to Japan, courtesy IndiBlogger and Expedia, was awarded to one person only - the blogger. Since I was quite apprehensive of travelling alone, I asked my father to come along and he happily obliged. What followed thence were lots of apprehensive and exciting moments not only for both of us but for the rest of my family as well, but in the midst of all this, we also made sure to make out some time towards planning our maiden expedition to Japan. Expedia: Visas, Passports, Travel insurance, Flight Tickets, Hotel Reservations. Procuring a visa when travelling abroad, to some people can be a headache. 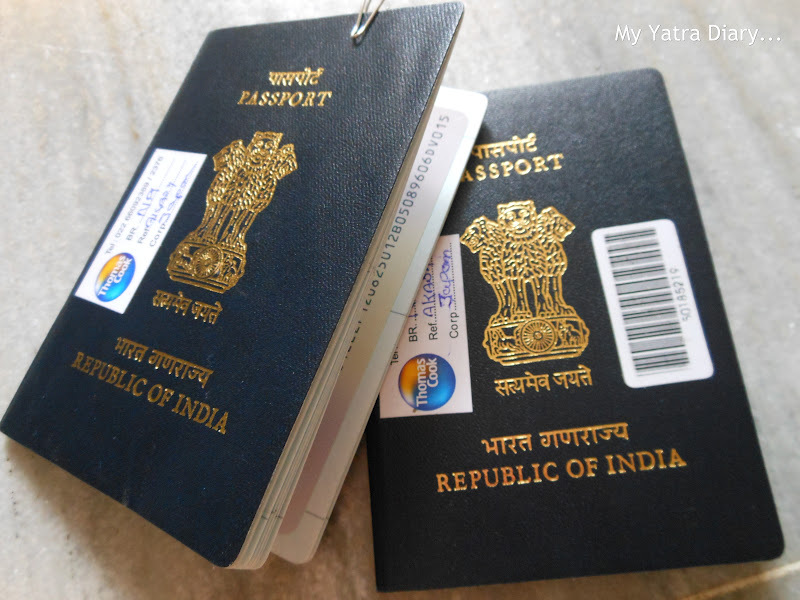 This also explains the influx of private companies in the travelling sector looking out to help prospective travelers with the entire process. (Case in point is this link: visum USA, for Norwegian travelers travelling to the US). For me, however, as someone travelling to Japan on a prize sponsored by Expedia, my visa and travel insurance was taken care by them. My costing for everything was completely accounted to by them, all the related extra amount for my father by us. Research and Developments: Communication barrier, Cost, Food, Etc. A few days that we had in hand before embarking on our trip, we got to know a lot of the country from our near and dear ones, and research on the net. To help things further I got myself a Lonely Planet guidebook, though it is a completely different matter that I never got down to reading it further than the first 20 pages or so but even possessing it gave a certain sense of empowerment somehow. 1. 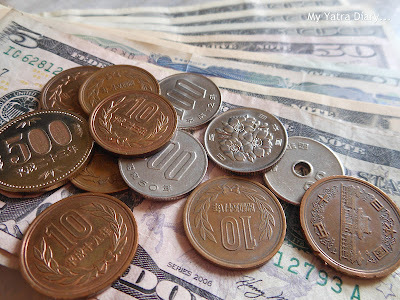 Cost: Japan is a very expensive country to travel and things are very costly. We made sure we were carrying all our things that needed to go along with us – clothes and toiletries in particular. After all, it wasn’t India and ‘Oh, I forgot to put that in’ would really be lame on our part. 2. Lack of Space: There is a dearth of space, rooms are small and if you are carrying a big suitcase, think of shrinking it to a smaller sized bag. We made sure all extra items were cut out so that there were only 3 bags from our side – one mine, one my dad’s and one for food. 3. Communication: People are not very confident in their English speaking. Be patient, try a bit of Japanese language learning that can help break ice. I sat down, made a list of the common greeting phrases in English, picked their Japanese equivalents and mugged them up. Arigato Gozaimasta – Thank You. O-ai dekite ureshii desu – Nice to meet you. 4. Vegetarian Food: Food in Japan is primarily non vegetarian with fish as the chief ingredient in majority of the dishes. More importantly, the word ‘vegetarian’ has different connotations for them than what it means to us - the Indians, hence one needs to be very particular when ordering food and having it. Being pure vegetarians, not consuming eggs, meat, fish, beef or the like, we sensed finding food could pose a big problem for us and we mentally prepared ourselves for the worst. My father suggested we carry some light snacks from India and in view of that we stacked one of our bags with munchies like chips, biscuits and nuts. Check extra resources on the web: Japan with Kids: Family Travel Guide. After packing our bags, we now got down to the final step, the itinerary. The first 3 days were reserved for Tokyo. Inspired by my Nara blogger friends - cosmos, sarah, stardust, snowwhite and Red Rose - it was decided to spend the rest of our days with them in Nara and Kyoto. Mails were shot regarding the same. Mails came back, faster than we could respond. The Nara bloggers put in all their strength so as to ensure that our journey to their part of Japan was enjoyable and completely hassle free. From staying to eating, from transport to sightseeing – everything was taken care of by them and to think of it, all this was done in a short notice of only a week or so and for someone whom they had only interacted online via blogs and comments was more than remarkable! Day I - 1/6/2012 - Arrival at 6:00 am Tokyo Time. Visit Expedia office. Day II and III - Tokyo travel. Day IV - Nara travel tour. Overnight homestay. Day V - Nara sightseeing. Move to Kyoto in the evening. Overnight stay at Hotel New Miyako Hotel near the Kyoto Station. Day VI - 6/6/2012 - Kyoto tour. Departure for Tokyo in the evening. In short, it wouldn’t be wrong if we say that there was hardly any planning from our side and even if there was, it was all hurried and last minute. The good thing happening was that everyone kept on assisting, and everything kept falling in place... and in the midst of all this, we found ourselves just sitting back and enjoying... a feeling... royal, a feeling... overwhelming, a feeling... special! When in your home country: Carry a lot of Yen and not US Dollars (as was advised to us) and take it from a bank in your country. Do not exchange currency at the Indian airport as the conversion rates there are near to ridiculous. When in Tokyo: If you are in need for currency, best is to withdraw it from an ATM centre in Tokyo. One surprising and strange thing we noted was, the ATM’s in Tokyo offered us almost 15-20 % better exchange rates than the global exchange rates at that point in time in spite of a message popping on the ATM screen - ‘Extra charges will be cut in transaction’, in reality the situation was exactly the opposite and we were actually hugely benefited from it. Amazing! - ATM’s are hard to find in Japan and on Saturday’s and Sunday’s, banks are closed. Further note that not all international debit/credit cards are accepted, so make sure to find out if yours is recognized in Japan before leaving your country. From personal experience, MasterCard debit card is OK.
- Airports may not necessarily be easily accessible from your point of station. 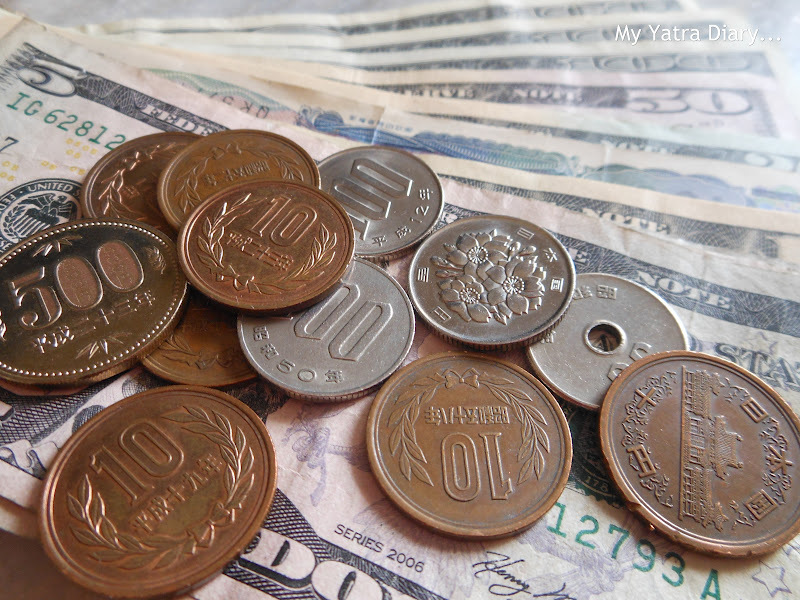 So it’s advisable that you carry enough yen currency in your pocket at all times. Check in time: Many Japanese hotels are quite strict with their check in and check out timings and don’t entertain flexibility of any kind. Co ordinate the timings of your hotel and flights and plan everything accordingly for a hassle free travel. Book your hotel through Internet: Try to book your hotel via the internet; you might just surprise yourself with a hefty deal. This is what happened to us in Kyoto. Thanks to stardust, who booked New Miyako Hotel via the internet for us, a room that otherwise expenses 32000 Y cost us only 9600 Y! Astonishing discount for using technology, isn’t it? Know the nearest station: Do not forget to inquire of the nearest station to your hotel and the subway route to reach your hotel from the Airport by train. 3. Rail Pass: Though we never bought one, consider taking a rail pass for yourself from your country as it apparently saves you a lot of money if you are going to travel around. You need to buy it when you are still in your home country. 4. Trinkets from your country: You will be meeting A LOT of friendly people in your way in Japan, make sure to carry a few trinkets as mementos to gift them and make those small little moments memorable for life. I'm so excited for you, Arti! I worked for a Japanese company until I retired! Wonderful people! Have a fabulous trip! It is so fun reading about this and your advice too! Love it! How interesting! Yes, Japan is quite expensive. But we truly enjoyed our 3 night stay in Tokyo in 2008. Thank you for your visit to my blog. You have a great blog and I am glad to visit yours. very important information Aarti !It will really come handy while visiting japan..
Hi what a great trip and I'm glad that you'll come Japan. I recommend downtown area such as Asakusa in Tokyo. You can see sky tree from there. Old tokyo tower is also okay for viewing the cityscape. In addition, there are various museums in Tokyo. My favorite is Edo Tokyo museum. Hi, Arti! I think your Japan Yatra going to be an idiot-proof guidebook to the travellers to Japan. I remember such a short notice that you were coming to Japan in a week and our urgent team works to prepare. You, too, must have hurried up to get all the preparations done but you did it, and came. Look forward to the next post. bloggers are such a friendly and helpful lot right!! Konnichiwa, O-ai dekite ureshii desu. Oh! what a wonderful experience to share. Very useful information. My younger brother has just returned from Tokyo after an official visit. Of course every thing was taken care of by his office there. Planning for a trip to Japan seems like a lot of work, but I bet it is worth it once you get there! It was great to read about your trip to Japan and what a lot of helpful advice here. It must have been wonderful catching up with some of your blog friends and seeing Japan. Arti, It sounds as though you had quite the adventure! Glad our Japanese Blog friends could help you so much. Did you communicate in English? @stardust Thank you for your comment, Yoko. You all must have gone through hurried preparations as well after receiving my mails, I can only imagine. @Barb I communicated in English only, only that I started my conversations with Sumimasen and ended them with Arigato Gozaimasta and I loved every bit of my conversations with them. The english speaking of the Japanese is really impressive and their zeal to learn and better it, even more! great info...hope to use it some day! Dear ARti - this is so exiting and i must come by for a quick hello! Can't wait to hear more about your trip soon! have a lovely weekend! @Arti First of all thanks for the post & information's .Great to read your post. Very apt tips. Fully agree. Thats a long list of useful info. Thanks for sharing. I was really excited to read it and Japan is not a country for me for food reasons. I actually read your latest post before reading this. Anyways, thanks I can share it with someone who is travelling to Japan. Japan.I am also pure veg. Enjoying the Japan Yatra with you. Great tips. Will certainly come back here if i plan a trip to Japan! I hope you put up more pictures of what you saw when you were at Japan. Very informative as usual of your other posts Arti..!Hope u had a great trip..
quite an informative post .. archived this for future references ! 1. You win more contests that involve overseas travelling. I'm surprised to read that ATMs are hard to find in Japan. It's always good to check these things beforehand to avoid surprises. We do tend to thing everything will be the same as we have at home. From my experience, exchanging money in the country you're traveling to always yields better rates than exchanging in advance in your home country. Also, one way to cut down on costs in Japan is by staying in "guest houses" rather than hotels (although you will have to sacrifice on location). Congratulations on the trip award!